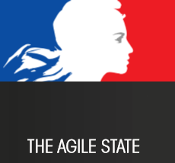 Simplifying the way citizens interact with the government is at the core of the French State Modernization Agency's (Direction Générale de la Modernisation de l’État - DGME) mission. The DGME’s role is to guide the French ministries and agencies in their e-government initiatives and to deliver a single window view of government services. And while the current economic situation pressures businesses and government to quickly reduce costs, the need to continually improve the quality of service delivery remains. So how did the DGME manage to pull it off while helping France reach the top of the European e-government ranking? Download the case study to find out!